How to reach Camping de La Pascalinette®, in la Londe-les-Maures, just near Hyères? “Camping de la Pascalinette” is a four-star campsite forming part of the town of La Londe Les Maures in the Var region. Founded in 1964 on 13 acres of land after the separation of several family estates, including Château de La Pascalette and Château de La Coulerette, the campsite’s name “La Pascalinette” actually means “Little Pascalette”… Campsite offers 1,873m² water park with 4 heated pools! “Camping de la Pascalinette” is one of the Var’s oldest campsites and certainly one of the most tree-filled! 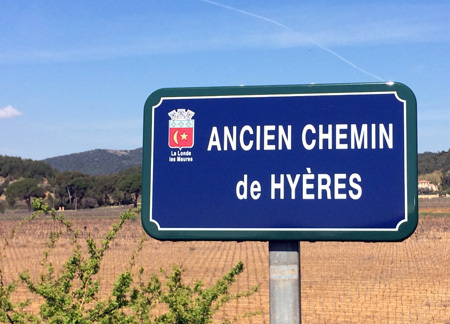 Take the A570 (East), cross Toulon, then Hyères. 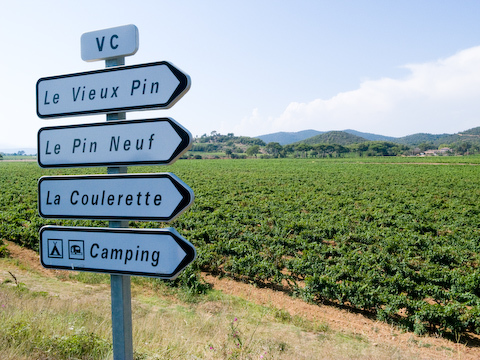 Follow the signs to La Londe-les-Maures and continue straight ahead on the D98 road. At the last roundabout, take the 3rd exit onto Chemin de la Decelle. Turn left, continue for 200 metres and… Here we are! Hyères railway station is at 10 km. Toulon railway station is at 27 km. Toulon-Hyères airport is located less than 10 km from the campsite! You can then take a taxi or rent a car and take the picturesque Route des Salins (D12), then Route de Nice (it’s signposted!) and follow directions to “Le Vieux Pin”. Use our GPS coordinates, and if you get lost… Just give us a call! The campsite boasts a wealth of beautiful Mediterranean species, including mimosas, cork oaks, eucalyptus, umbrella pines, Corsican pines, aloe, oleander and palm trees.